Meet Toronto-based children's book illustrator Laani Heinar. She's added a pinch of snowy sparkle to the CBC gem. 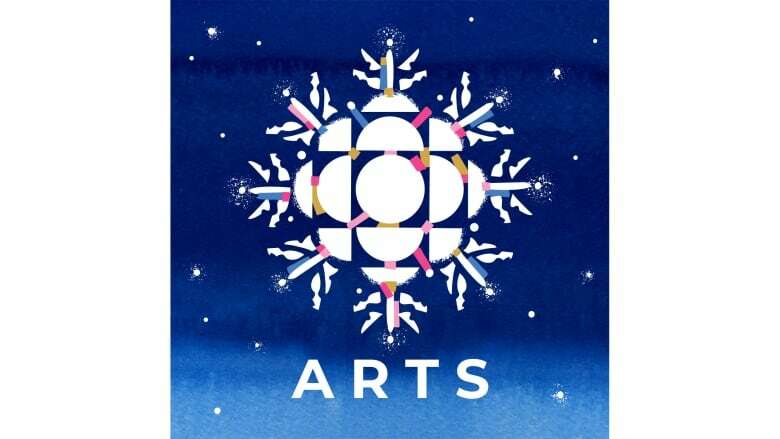 In the dark of winter, our January logo will be shining bright, and it's all thanks to Laani Heinar, who's thrown some snowy sparkle on the CBC Arts gem. Her design will be lighting up our Instagram, Twitter and Facebook profiles this month, so get to know the Toronto-based illustrator. Let's talk about your design! What inspired your take on the CBC Arts logo? Winter, especially the month of January, tends to get a bad reputation for being cold, dark and gloomy. And so, I wanted the logo to tell a different story, framing it as a month of renewal in the new year. It's a time of fresh beginnings and a celebration of the year to come. The snowflake design that incorporates the CBC gem is a nod to the beauty of this time of year, of sparkling snow and shining ice. The coloured components are meant to reflect the celebratory aspect of the beginning of a new calendar year. So many of the illustrations on your website capture cheerful winter scenes. Why is that? What do you love about the season? I've always been a bit of a winter person. I love the atmosphere of fresh snow, deep blue skies and bright sun. It works well with my favourite colour palettes to use: inky blues and crisp, defining whites, highlighted by fragments of both bright and neutral tones. With writer and musician Vincent Teetsov, I have been working on illustrating children's stories about two characters called Pumpkin and Stretch. We have been sharing these stories, along with accompanying bossa nova style kids' songs, written by Vincent and performed at various branches of the Toronto Public Library. It's an exciting project because it's my foray into illustrating for children. I'm inspired by the incorporation of unexpected colour and texture within my works. I love to delve into stories, places, themes and characters, to find and highlight their everyday magic and spirit. The Fan brothers, Terry and Eric Fan. 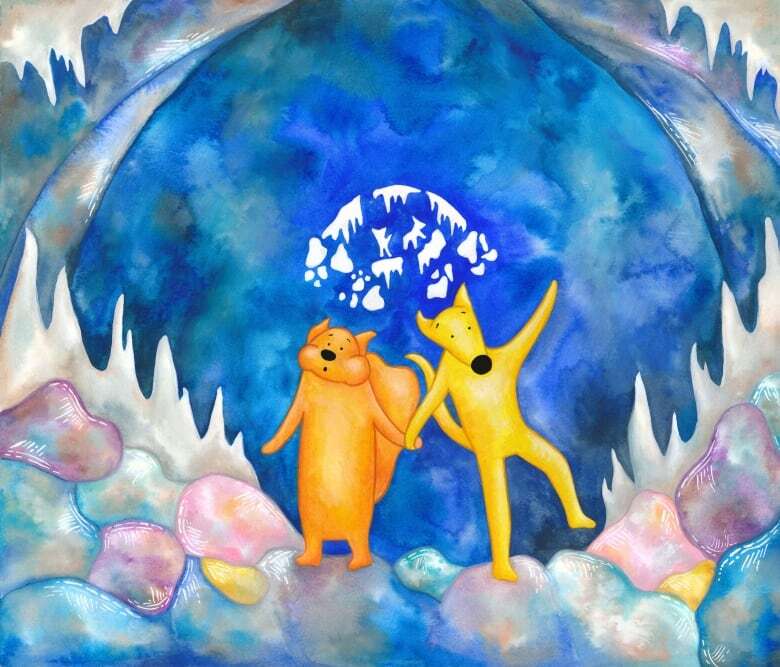 They are the author/illustrator duo behind the picture book Ocean Meets Sky. Their work has a dreamlike feel, full of ships, whales, hot air balloons and dragons. These days, my favourite place to see art is at the local book store or library, browsing through children's picture books. I am endlessly inspired by the many brilliant illustrators making beautiful books, published in Canada and elsewhere. Each page is a work of art in itself and each book is like stepping into a new gallery show. Any new projects on the go that you'd like to mention? Where can we see more from you? I'm always working on new illustrations and designs, and in 2019, I'll be looking to branch further into the world of picture books. You can find my work on my website, on instagram (@laani_heinar) as well as in my shop on Etsy (LaaniHeinarStudio).